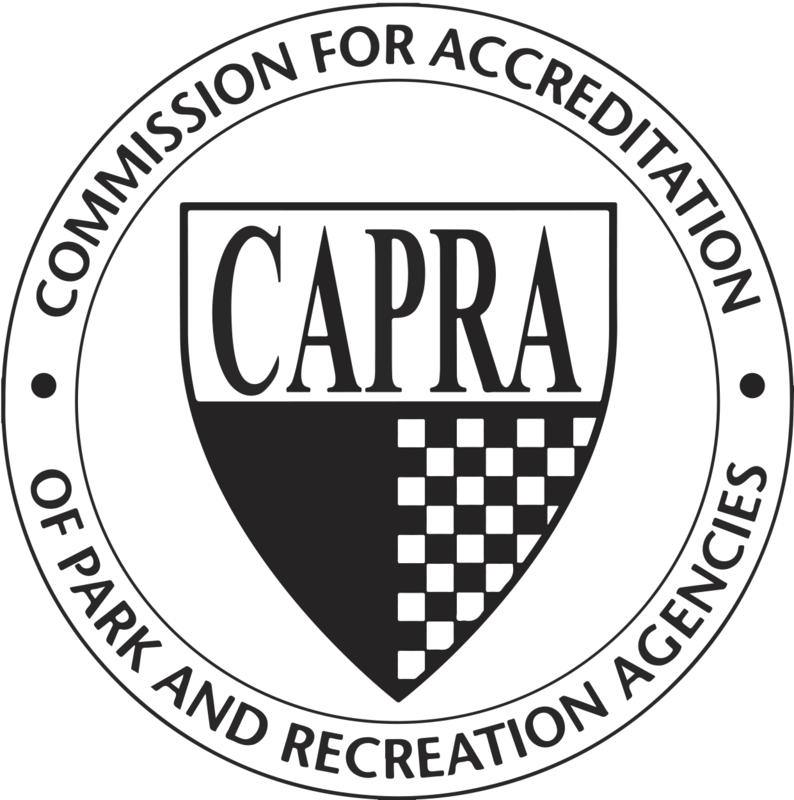 Public access to the site including Crowell Woods Natural Area is not currently available. Clean Water Services is upgrading the sewer lines and completing other improvements. Have a question for the project team or have a suggestion for the park name? Enter your email address and we will send you periodic project news. About 30 community members participated in a public review of the draft master plan on May 16, 2017. 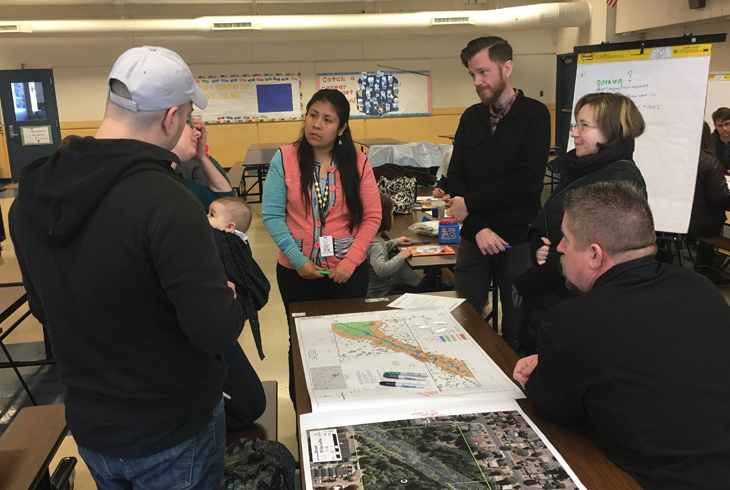 Three design workshops in February provided an opportunity for park neighbors to discuss community needs with park planners. 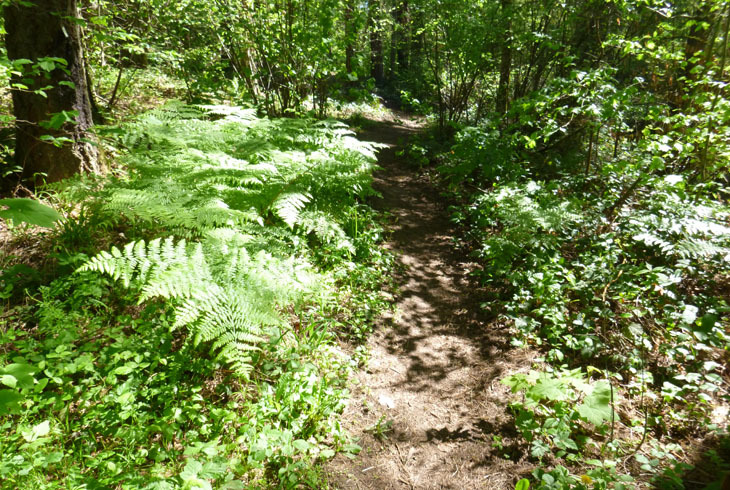 Crowell Woods Natural Area is a small, undeveloped parcel that connects two recently acquired properties. Future amenities will be limited by required setbacks from the creek. 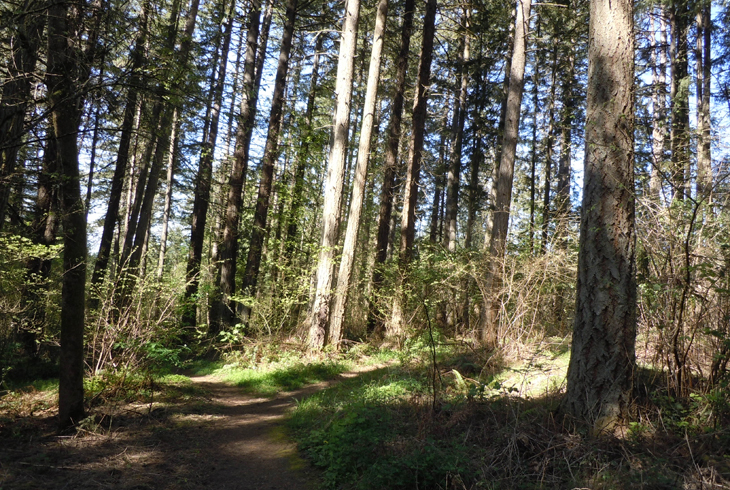 Parcel A was acquired in 2014 with bond funds that were earmarked for natural area acquisition. 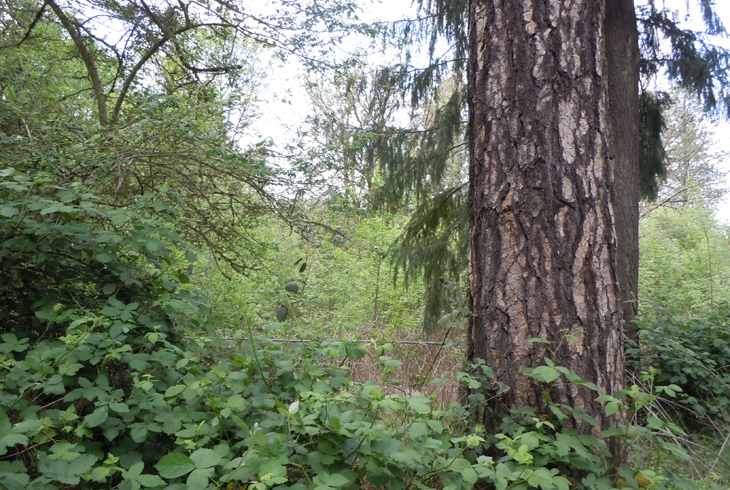 Parcel B was acquired in 2012 with bond funds earmarked for neighborhood park acquisition. 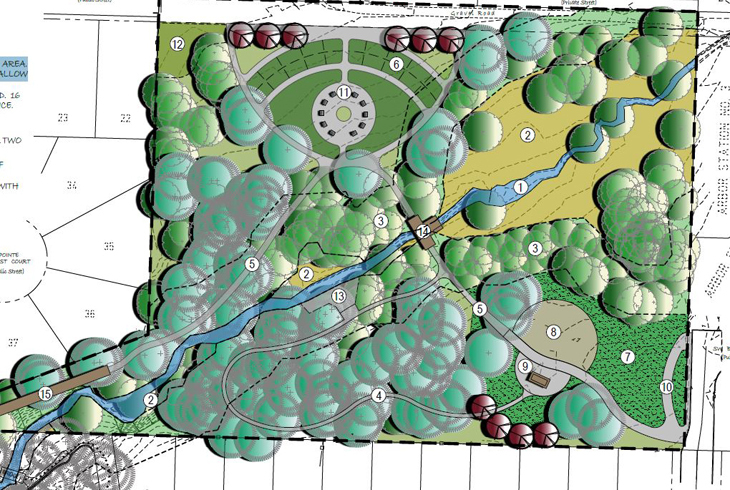 It will be best suited for "active" park amenities such as play equipment, nature play, and picnic areas. Thanks to the neighbors of Crowell Woods Park! 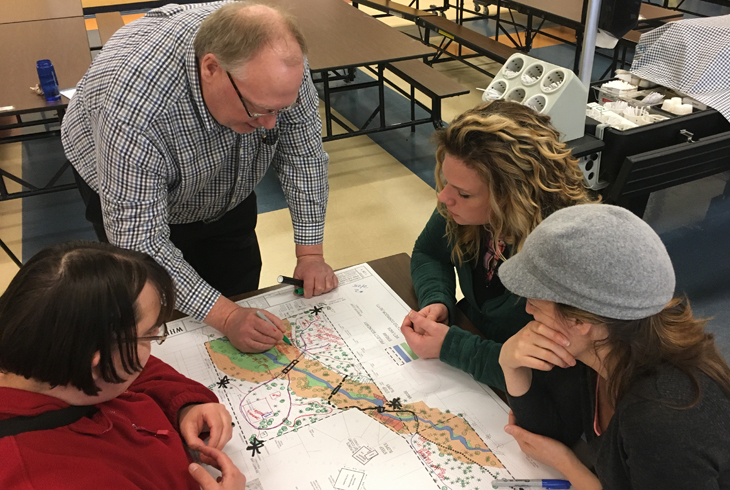 Thanks to the neighbors of Crowell Woods who engaged in our public discussion, completed playground surveys, and helped THPRD learn more about how to best design a playground that serves the neighboring community. 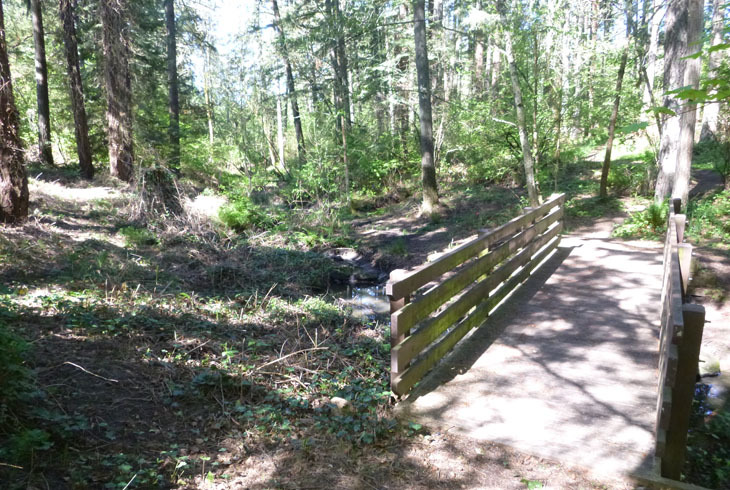 This project will connect and develop 7.5 acres of park and natural area parcels in an underserved part of Tualatin Hills Park & Recreation District. THPRD has worked closely with neighbors and the broader parks community to ensure that the design and amenities provided within the new park primarily serve local neighborhood needs. Based on the input we gathered from community members, we learned that the playground activities most preferred in the neighborhood are play towers, swings, slides, and climbers, which we plan to incorporate into the playground design. We also learned that the neighborhood most prefers a natural color style and nature themed play with natural play elements integrated into the landscape. 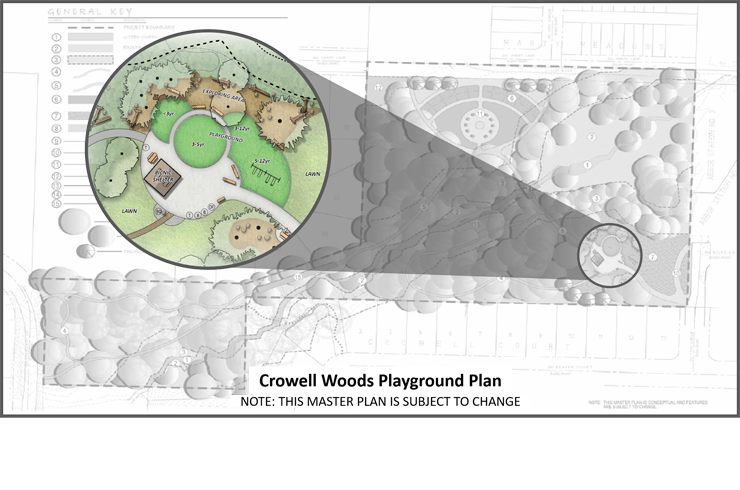 As we move forward with our design process, we intend to provide as much variety as possible between the development of Crowell Woods Park and the nearby Bonnie Meadows Park. Our team is now closing this phase of community input and moving forward with the final playground design. Please return to this website for future updates on the park's development. 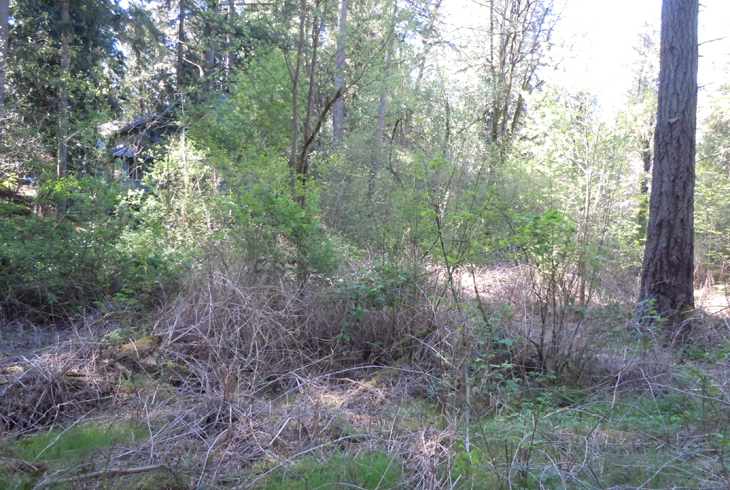 This new park will be located within a mixed-density residential neighborhood in the Aloha area of Washington County. 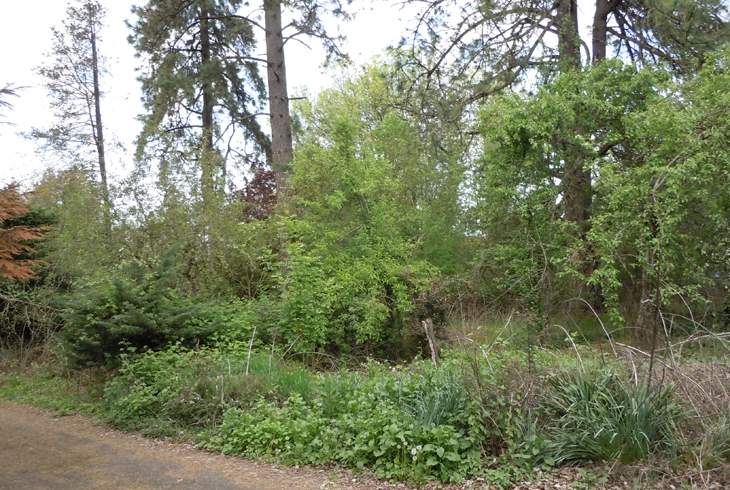 The site is composed of three properties located west of SW 170th Ave and north of SW Merlo Rd. The properties form a forested buffer around a small creek that flows through the neighborhood from the northeast to the southeast. Parcel A is located to the southwest of the Crowell Woods Natural area. 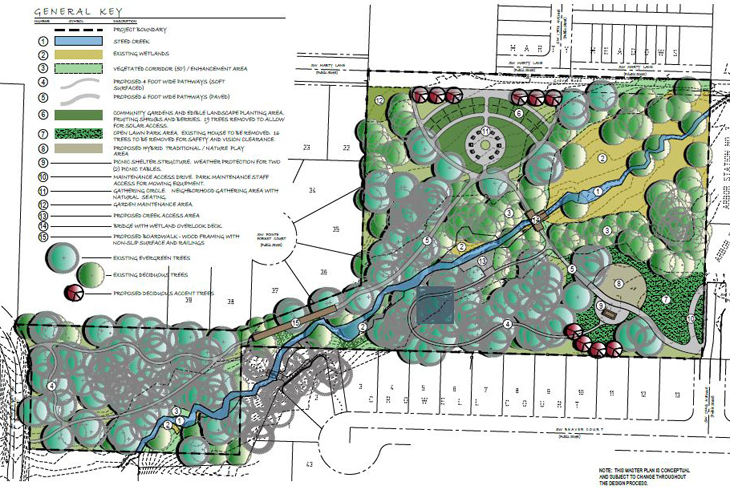 As with Crowell Woods, future amenities on this property will be limited by the presence of existing trees and required setbacks from the creek. 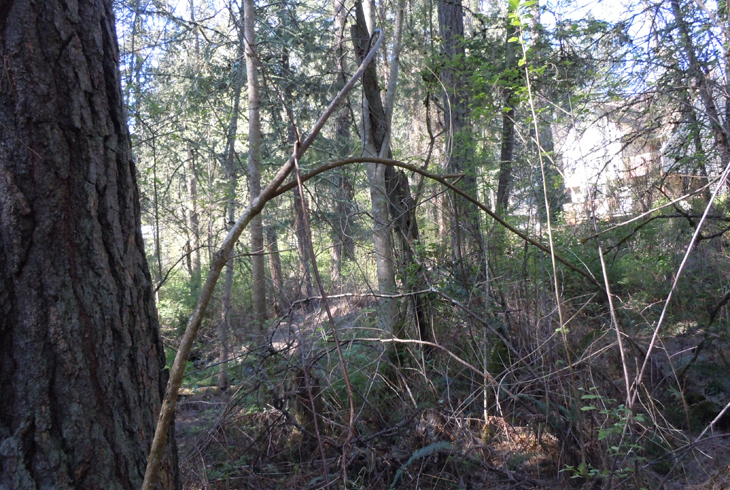 The Crowell Woods Natural Area is a small, undeveloped parcel that connects Parcel A and Parcel B. It is accessed via a footpath and bridge off of SW Beaver Court. Future amenities on this property will be limited by required setbacks from the creek. Parcel B is located in the northeast corner of the planning area. This is the largest of the three properties and will be best suited to any "active" park amenities such as play and picnic areas, though it may also be used as a natural area. This property currently includes a private residence and is not open to public access at this time. Stage 5: Site Preparation (Dec. 2018 - Feb. 2019) Construction of the park is expected to begin in spring 2019; the park is expected to open to the public in fall 2019. 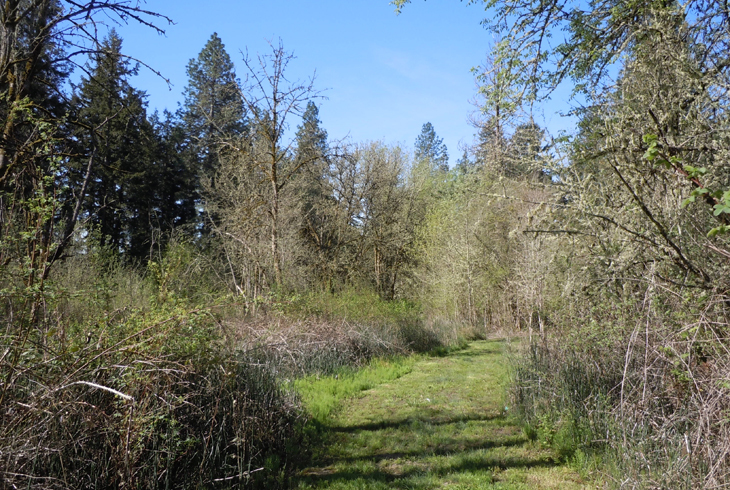 THPRD is holding a May 16 public meeting to review the draft master plan for a new 7.4-acre neighborhood park in Aloha. You can also participate online. Our public outreach continues for a new 7.5-acre neighborhood park that will be built in Aloha, near Beaver Acres Elementary School. Get involved in our park planning by signing up for one of three February workshops. 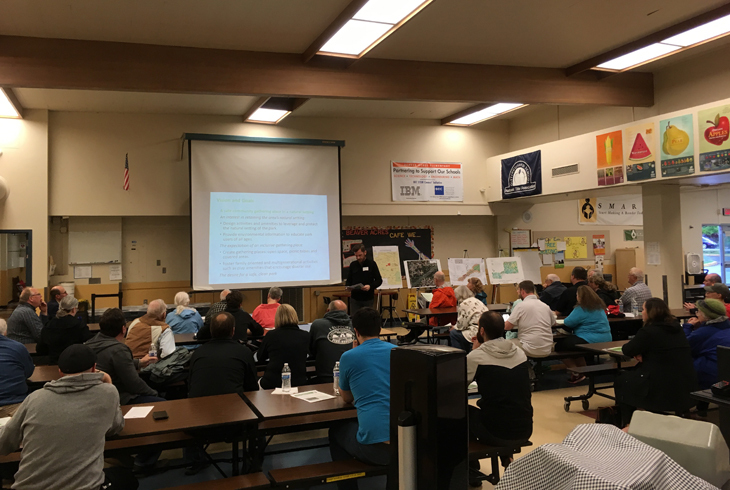 As THPRD inches closer to designing and developing a new 7.5-acre neighborhood park in Aloha, district planners continue public outreach with community meetings and a new survey.